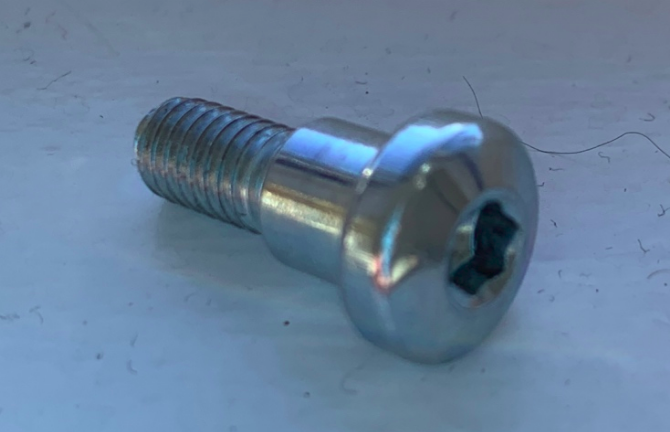 I need some spare screws like the one in the picture, but I have no idea what it’s called. The nearest match in Unbrako's product line is probably the "socket head shoulder screw" but its not an exact match. A search on Google did result on tons of results using the search words "shoulder bolt", none are an exact match, but if you filter results by images only, you can sort out the replacement that will work best for you. How do I screw two posts together so that they look seamless and can easily be taken apart and put back together? Are there screwdrivers that can hold an M1 slotted screw during insertion without being magnetic? Wooden piece without a screw hole - is this correct? What kind of screw is this and how do I open it?